This question was raised recently by my British friend and mentor Mike Browne in a YouTube video. And it got me wondering about myself, about how determined I am to produce good images. For me, it’s confession time: my dedication right at this moment, by any measurement, would be considered minimal. As an example, take this image that I include not for your opinion but as a way of introducing some comments about me and sunrises and sunsets. 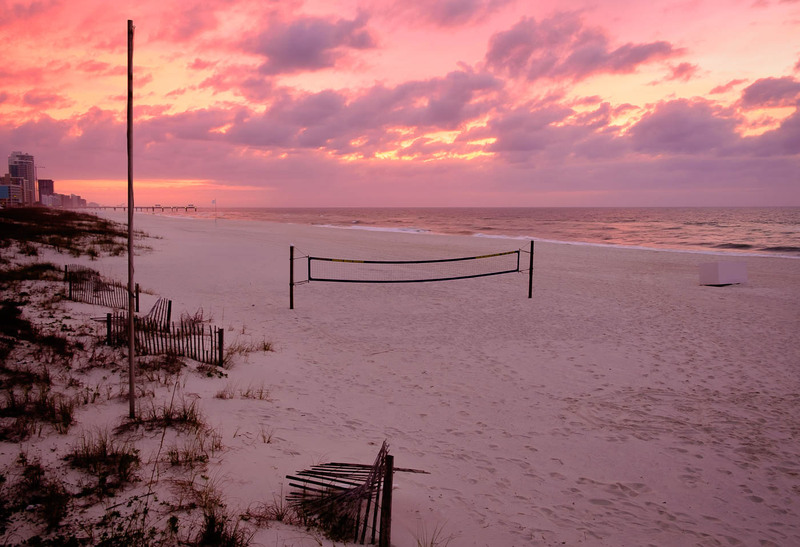 We returned last week from a short trip to the Alabama beaches on the Gulf of Mexico. I very, very rarely get out with my camera to catch a sunrise (like this one) and almost never a sunset because it generally interferes with dinner! And the only reason I got this shot is that the beach was less than 50 feet from our hotel, and I happened to be up and “in the mood.” Otherwise I tend to skip these opportunities. The irony is that I went on this trip with the precise intention of concentrating on sunrises and sunsets, the latter despite having to delay my dinner. I was going to do it, sure thing! I made it the first morning to sunrise; no do because of cloud cover. The picture above is the second morning. I stayed in the third morning because the weather report was iffy, only to be shown an Android picture later that included knockout skies! What would I have been able to see and photograph if I had just shown up? I will never know, because I wasn’t there. And how about the sunsets I promised myself? The first 2 nights, I was on the pier, ready to go but no sunset worth photographing. The next evening, I skipped the pier altogether, went to dinner, and driving back to our hotel the sky was one of the most spectacular I have seen. Go figure. If you were to ask me if I would “like” to take amazing sunrise and sunset pictures, my answer would be an emphatic “YES!” But there’s a difference, you see, between “wanting” to do something and doing it. The difference boils down to setting aside time to put my camera in front of the early and the late sun. These daily time slots are not called “The Golden Hour” for no reason. Oh my goodness, do I understand this!!! I am a “in the wrong place at the wrong time person! !” I just spoke to my state group this past weekend and exhibited my first workshop images and one of the last that I took a few weeks ago….mind-boggling!!! Thank you for your continued inspiration! !